Rosie is a Katherine Graves trained hypnobirthing teacher, birth and postnatal doula, based locally to Kew. She feels passionately that good antenatal, birth and postnatal support is an important foundation for a positive and empowering birth experience and this can bring long-term benefits to a mother and her family. 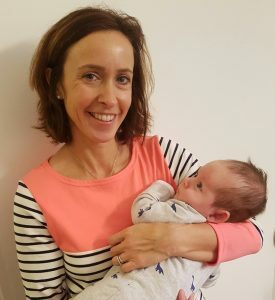 Her philosophy is one of nurture, care and encouragement, so that you feel relaxed and confident in the run up to your birth and in the early weeks with your precious baby. Rosie firmly believes that hypnobirthing gives you and your partner the tools to have a positive birth experience and has been supporting families in the area since 2010.